The Boston Tree Party is a new, fun, lively local movement for fruit tree planting in the Boston area, originally an art project by recent Tufts graduate student Lisa Gross. Learn more from TuftsNow, Lisa's Tedx Boston talk, and the Boston Tree Party website. Tom Jones resigned this week as chairman of the Cattlemen's Beef Board (CBB). This follows the resignation of Tom Ramey as CEO two weeks ago. The CBB oversees the beef checkoff program, which uses the federal government's power of taxation to collect $70 to $80 million in mandatory assessments or taxes each year from beef producers, for use in research and promotion activities such as the advertisements with the slogan, "Beef. It's What's for Dinner." The real power behind the throne has long been the industry's private-sector trade association, the National Cattlemen's Beef Association (NCBA), which serves as the principal contractor to the CBB, receiving most of the checkoff money, and which simultaneously controls most decision-making for the program. The CBB had tried to re-organize the checkoff program to provide more accountability, but the NCBA opposed these changes. The industry trade press has mostly been absent from duty. The Rod Smith article for Feedstuffs about the Ramey resignation ignores the multi-million dollar questions about financial management, but spends whole paragraphs on an accusation that Ramey listened in on a conference call to which he was not invited. That seems to me like a trivial matter. Smith's brief today editorializes that Jones "was also caught up in the apparently now-failed maneuvers by the board's executive committee to restructure how beef checkoff programs are approved and funded by trying to pull the Federation of State Beef Councils out of the National Cattlemen's Beef Assn. (NCBA)." I imagine most beef producers must be appalled at the anti-reform spin and will seek their information elsewhere. Won't somebody in the trade press give this story the real investigation it deserves? Or will it all be swept under the rug? I am so sorry to the members of this Board who truly want what’s best for every producer. Keep doing the right thing. Doing what’s right is all that matters. Some board members put their allegiance to their chosen association before their oath of obligation to serve all producers who pay the checkoff. This is a dangerous position to take. The checkoff program could benefit from positive change and it is difficult to work for that when your allegiance causes you to wear blinders to the change that is needed. It will also be impossible to defend those attitudes if or when this program is challenged. I have never in my life seen as much public defamation and misrepresentation as I’ve seen lately. I know many of you as friends. This kind of behavior is beneath us as people of agriculture. When I see that kind of action, I look for the real purpose behind it. More often than not, that purpose is fear – fear of change, fear of the future. Fear may cause someone to want to hide the true issues, which are often based on the desire for money and power. My resignation from this Board certainly won’t solve all of the issues before the Board. You still have a lot of work to do and empty calls for “getting along” won’t get you anywhere. The Agwired coverage mentions Jones' family reasons for resigning, but did not include these two sharp paragraphs. There is extensive coverage of recent events on the independent beefcheckoff blog. 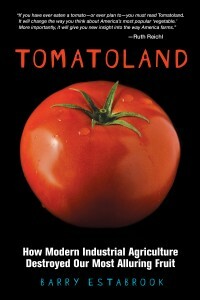 Barry Estabrook's new book Tomatoland is getting great coverage. The NYT review is by Dwight Garner, who grew up not far from the heart of the Florida tomato industry. Here also is an NPR interview on Fresh Air. I described my visit to Immokalee in this blog in 2009. This is not the first time we have run this headline. Every July, USDA's Agricultural Marketing Service is supposed to submit a report to Congress detailing the activities of the fluid milk and dairy checkoff programs. These programs are responsible for the cheese promotions described in the Michael Moss NYT article last year. The most recent report on the AMS website is the July 2009 report, which described the programs' 2008 activities. 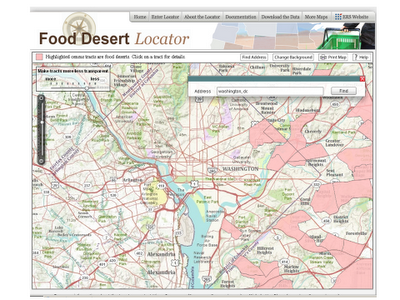 The July 2010 report has not yet been posted as of July 2011. My gentle email requests to AMS go unanswered. Even though the good folks are busy, perhaps they will forgive a more public nudge. Here is a view of a particular place in the middle of the vast Great Plains. Although I have never been there, I frequently think of this place around Independence Day, when churches sing the lovely Katharine Lee Bates hymn that some people say should be our National Anthem. The later verses persuasively combine progressive principles, a theologically sound measure of humbleness, and patriotism. But, it is the first verse that reminds me of this particular place. For some reason, I feel nearly weepy when the hymn reaches the images of mountain, fruited plain, and amber waves of grain. I will be embarrassed if this is something that happens only to agricultural economists. Perhaps this song affects other folks also. Right in the middle of the image, if you zoom in, is the place my father was raised. A preacher's kid, he and his brother grew up in the parsonage of Canaan Moravian Church, in the little green rectangle. The graveyard served as their playground. If I am reading the image correctly, the gravestones are all laid flat in the Moravian egalitarian tradition. The brothers attended a one-room school not far away. Many rural communities like this are struggling. The farms that remain have grown large in size and few in number. My dad says that, in his childhood, many farmers had one section (640 acres). Some farms back then had a half section. A typical farm now might be 3,000 acres. The production is good, but the changes are hard on community life. After looking at this particular place, hit the "zoom out" button a few times. There are so many places like this particular place. This is an amazing country. The Cattlemen's Beef Board (CBB) chief executive officer (CEO) Tom Ramey resigned this week, throwing the checkoff program into turmoil. On March 24 of this year, NCBA leadership filed charges of misconduct with the CBB Executive Committee against CBB leadership. The sequence of events speaks for itself. Who wins with this resignation? NOT checkoff-paying cattle producers. Congress should hold hearings to investigate the beef checkoff program, DTN ag policy editor Chris Clayton suggested this week. The beef checkoff is the semi-governmental program that collects a mandatory assessment or tax from beef producers and sponsors advertisements such as "Beef. It's What's for Dinner." Clayton describes the intensifying arguments between the CBB (which is appointed by the Secretary of Agriculture to oversee the checkoff funds) and the NCBA (which eventually receives about 90% of the checkoff program's $70-$80 million annual funding stream by serving as a contractor to carry out the program's operations). Recent documents from the Cattlemen's Beef Board and the National Cattlemen's Beef Association reveal a wide-ranging rift over possible reforms and changes to the checkoff. Columnist Alan Guebert highlighted those problems last month, and posted related documents on his website. 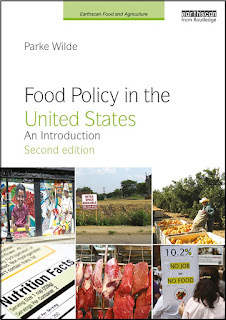 Over the years, U.S. Food Policy has given extensive coverage to the strange world of federal government checkoff programs. For more information, see the long archives under the checkoff tag and, for a discussion of the tensions with federal dietary guidance, a 2006 article in the journal Obesity.